RJTR is responsible for master planning, architecture and interior design services. 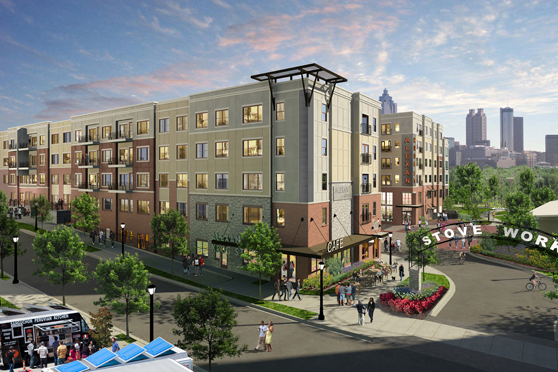 Located on the Atlanta Beltline, in the Inman Park neighborhood, this 260,787 SF five-story wrap-style apartment building has a total of 222 units, offering 24 different layouts. 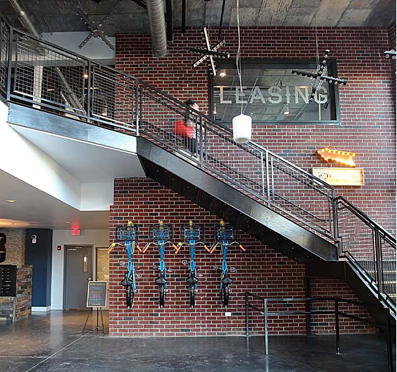 Alexan on Krog offers 14,000 sf of trendy amenities that cater to the Millennial generation of renters, such as a bocce ball court, outdoor fire pits and grills, an outdoor bar, dog wash, and a residents-only bicycle workshop. Additional outdoor amenities include a pool with in-pool chaise lounges, and a rooftop patio with scenic views of the Atlanta skyline that includes a theater space and an extension of the fitness area for rooftop yoga. Located adjacent to the Stoveworks office and retail/market complex, across the street from Krog Street Market (designed by RJTR) and with direct access to the Beltline. The buildings wrap around a 165,670 SF parking structure, with the ability to securely park 522 cars. The 7-story structure is naturally ventilated, cutting down 70% of energy costs.